A couple weekends back, I went to go see what I’ve been avoiding since moving to London – the most famous pile of rocks to ever grace a field. To be fair, ‘avoiding’ is probably too strong a word. I just never felt the need, kind of like how I feel about the London Eye – suuuuper touristy, overpriced and overhyped. While I still haven’t gone up the London Eye and probably won’t, I’m ever so glad to say I was wrong about the rock pile. 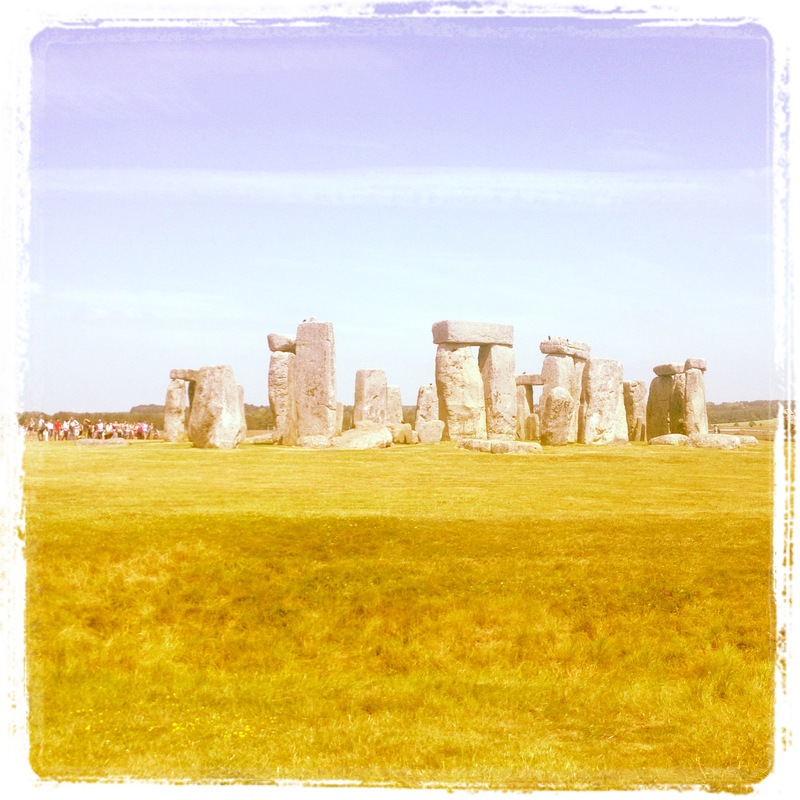 I think once in your life, especially on a sunny, summery day, Stonehenge is worth the trek…and in all weather, I truly do think it fits the ‘masterpiece’ bill of this week’s photo challenge! The occasion was a friend visiting from Toronto, staying with my Canadian friend Laura who is finishing up her Master’s degree here in London. We booked rail tickets in advance to Salisbury, which ended up being around £20 for a return journey (not bad for a couple hours’ ride). Upon arriving at the station, we (and the hoards of tourists who had the same idea) thought it’d be best to pay another £20 to the tour group – this includes your coach bus ride to and from Stonehenge, your admission AND a handy line bypass (so worth it, not to mention we felt like prehistoric monument VIPs…when does one ever get to say that). While I do have to say that it looks bigger in pictures, it was pretty cool to see the stones and the henges up close and personal. There’s an audio guide to accompany your circling of the site, telling you all about its mysterious history (no but SERIOUSLY, what was it meant to be?? sunworshipping temple? creepy burial ground? Merlin’s clubhouse?) I have to say, while bits and pieces have been pillaged or stolen (…really? no one noticed this happening?) it’s in remarkably good shape for being 5000 years old. It is so, so mindblowing to think of its history and sheer longevity…for this, I say, it’s an undisputed masterpiece to me. ….can we all agree that a TRUE masterpiece is any jump pic that manages to capture all people in the air at the same time?? Seventh time’s a charm!! 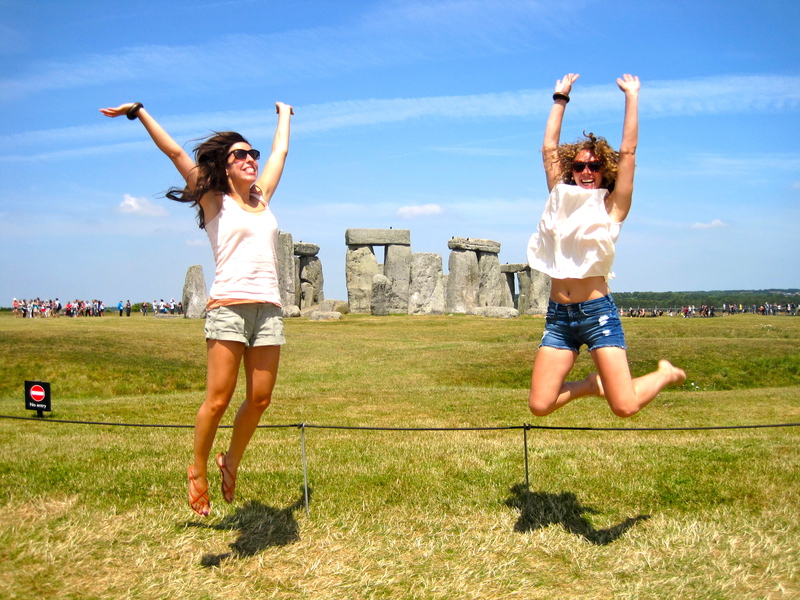 This entry was posted in Uncategorized and tagged London, postaday, Stonehenge, tourism, Weekly Photo Challenge on July 28, 2013 by CatherineTs. But then again, he’s not really your ‘normal’ child. After a slight hiatus due to various non-London-y adventures (Marrakesh, Toronto, Las Vegas) – all of which I will chronicle in due time – I am back after the most overwhelmingly British-pride-ish week since last year’s Olympics. Yes, I’m talking about the royal bundle of joy. On a spectrum of EEEE CUTIE to WHAT BABY, LEAVE ME ALONE, I think the photo above gives away my inclinatio. Anyone who waited in the line snaking around Buckingham Palace to see a glorified artist’s helper has to have some sort of soft spot in their heart for both the royal family and newly birthed cherubs. As the calendar flipped to July, it was definitely entertaining to witness the world’s frenzied media climb over themselves for prime stakeout spots in front of St Mary’s hospital. When the news of the arrival of the future king finally broke, I couldn’t help but draw a parallel from London2012. In the lead up, the whining was overwhelming…the city would be too busy, the whole thing was too expensive, who cares about dressage anyway? Cue the Opening Ceremony, and every Brit I talked to was filled with a sense of quiet pride and palpable excitement (‘oh hey, how awesome is that horse dancing to the Lion King soundtrack! ?’) Similarly, this week, I found a lot of people couldn’t help but grin and get into the spirit. Of course, the ‘why is this news?’ tweets and grumble-grumble I-don’t-care articles were present in abundance, but to be honest not all news has to be bad news. On any given day, British media is full of reports on war in Syria, poverty amongst the UK’s own children, struggles in the National Health Service, destruction by natural disaster in the United States…a couple days’ focus on a story to make you smile, IMHO, isn’t the worst thing to happen to your television. Anyway, whatever one’s opinion, this really is a historical event, and as a Canadian in London I feel lucky to be able to soak up the atmosphere in person. 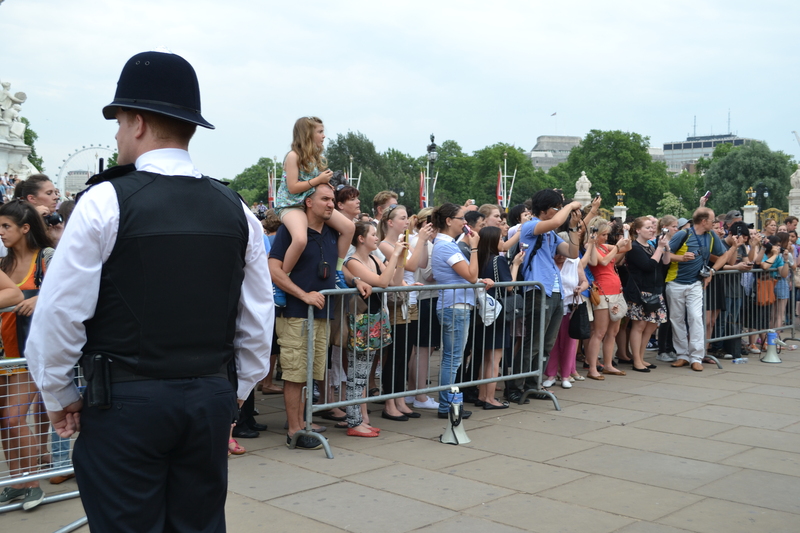 When I’m old and gray and this as-yet unnamed future King takes the throne, I’ll remember how I popped by the palace one day after work in a heatwave (also a historical event!!) and caught a glimpse of the most snazzy easel of all time. Judging by the languages I heard in line, the easel had much international appeal…I’d be interested to hear how everyone else viewed the whole thing, both from here in London and afar? Repulsed by the sappiness or thought it was adorable and pulled out your bunting? 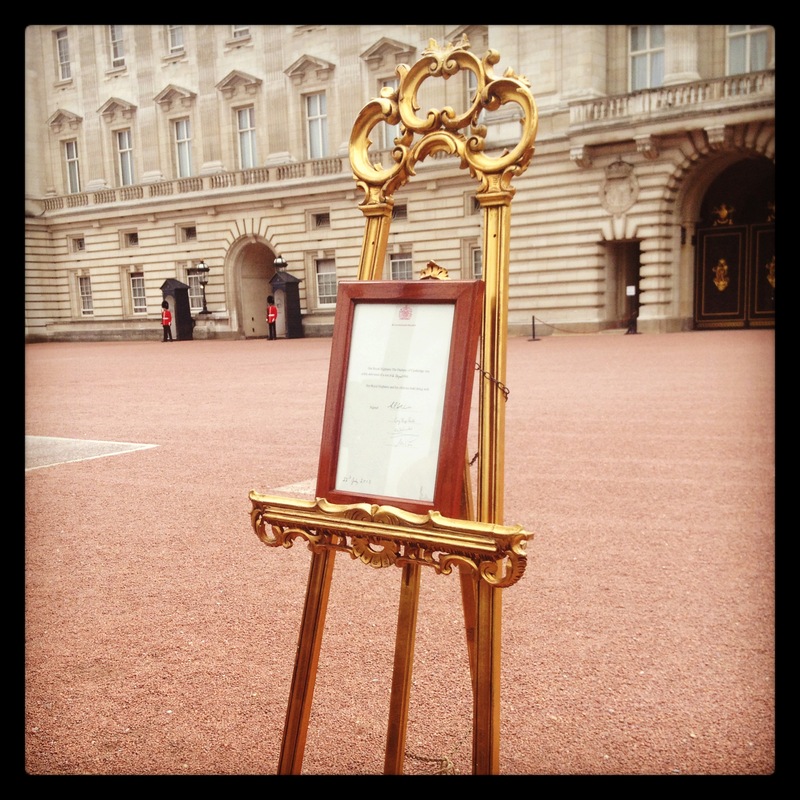 This entry was posted in Uncategorized and tagged Buckingham Palace, easel, London, royal baby on July 24, 2013 by CatherineTs.